Ok, did a quick try at this while I was in the plane and after some cleaning up sent a pull request. 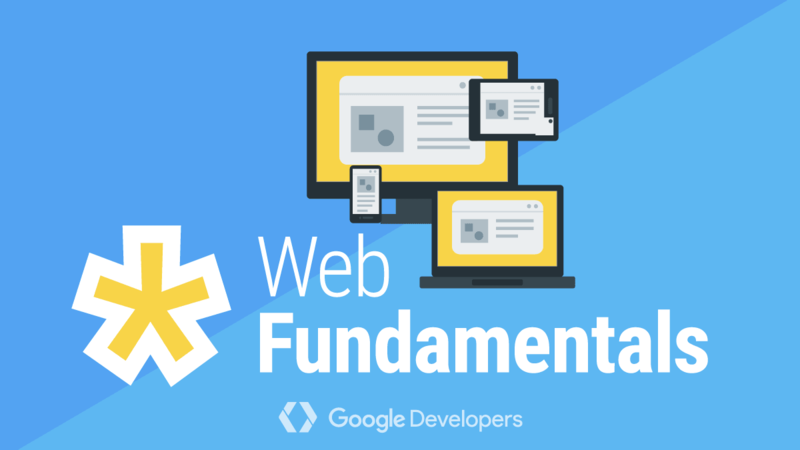 Share a webpage link in mobile app? This only happens on Android yes? Seems fairly safe to me then. @gerhard can you review? It’s merged and it works great on Chrome 61. 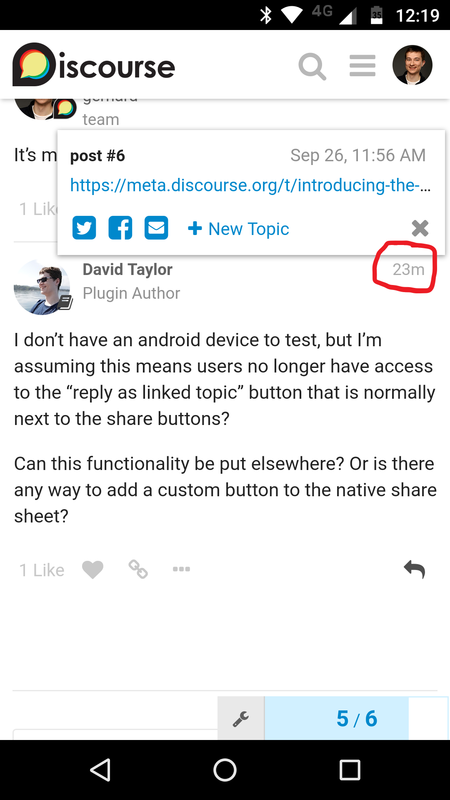 I don’t have an android device to test, but I’m assuming this means users no longer have access to the “reply as linked topic” button that is normally next to the share buttons? Can this functionality be put elsewhere? 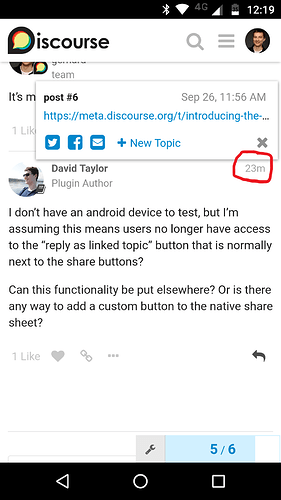 Or is there any way to add a custom button to the native share sheet? It’s still there when you tap on the post’s time. Only the share button uses the new functionality. 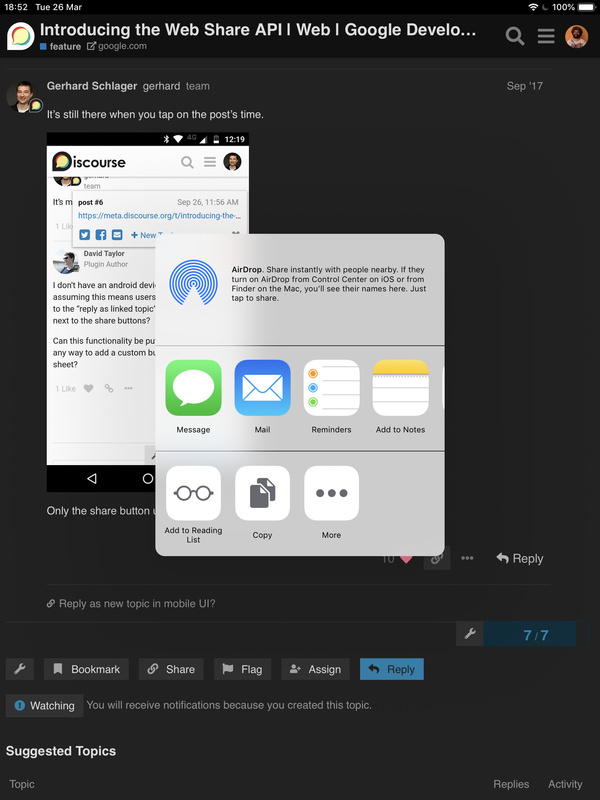 Reply as new topic in mobile UI?